Pokemon Go has sent fans in a frenzy and I saw it live when a little monster was spotted in a cafe next to our office. The whole place was flocked with people and even our office’s late bloomers arrived much earlier. The groundbreaking game has gripped the world and pumped a new lease of life to AUGMENTED REALITY. But this is not all, AR will soon have more moments of glory riding on the wave of eCommerce. Online shopping companies are trying hard to survive the cut throat competition, everyone is offering the similar kind of technology in eCommerce, but one area that hasn’t been tapped well, is Augmented Reality. What happens when you look at a beautiful dress, you imagine yourself wearing that. AR can make it possible by accessing device’s front camera in real time and automatically position the dress on the user to give a better idea of how the dress will look like in real life. AR, which is a blend of virtual content with the real world, like any other consumer technology is making inroads in the eCommerce. In 2015, revenue generated from applications featuring AR technology was $2.2 billion, but the number is going to be really high with Pokemon Go raging success this year. eCommerce players are finally waking up to the fact that a bulk of their revenues are directly dependent on the experience they can provide online, how they can make shopping experience out of the box and engaging for the customers. AR has the potential to increase sales for eCommerce products and fetch more conversions as customers will be able to form a greater emotional connection with the products using augmented reality. It will empower shoppers to try out more items and sharing their looks with friends that will boost the word of mouth marketing for the brand. Here are a few ways some eCommerce companies are redesigning their experiences with AR. While making our purchase decisions at the shop, we pick the product we are interested in, move towards the trial room (if the shop has one) and then get disheartened looking at the long queue outside the trial room. Not able to try is one of the major reasons for leaving a product on the eCommerce websites as well. 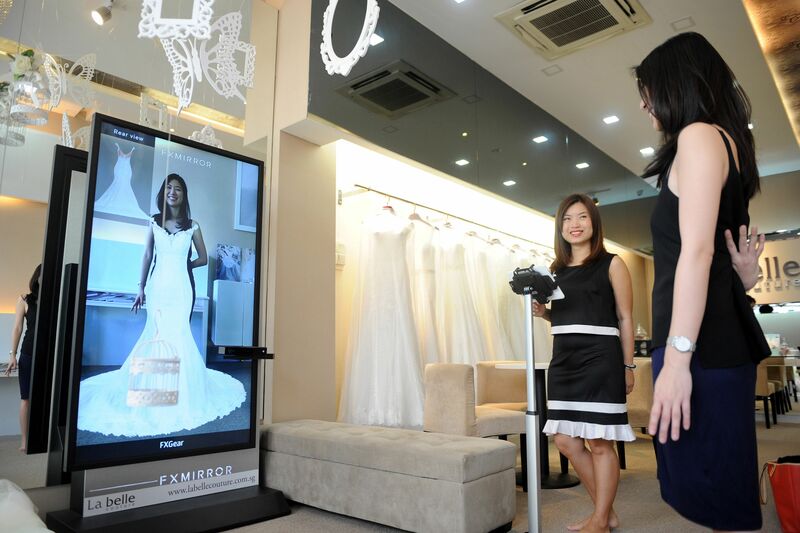 Some new age eCommerce websites have radically improved the customer experience by adding a virtual fitting room component to let customers try out clothes and accessories from head-to-toe using webcam technology. British e-boutique Banana Flame has used AR to let customers try on dresses using computer screen as a sort of electronic mirror and used virtual controls to adjust garment’s position, color, size and even photograph themselves to share with friends. No doubt the number of unique visitors who places items in their carts increased by 182% for the retailer in the last one year. Rayban and Zovi are also doing the same with their virtual fitting rooms. Decorating a home can be a nightmare where you have to break your heels at the multiple showrooms and still you couldn’t find the perfect sofa that matches the rest of the furniture in your house. Even when you finally found the perfect sofa, you could not cram it in the little space you had in your living room. How sometimes you wish you had opted for L-shaped sofa instead of plush La-Z-Boy after making a purchase. Fortunately, there are some smartphone apps that use AR to take a photo of your room. You can try out furniture to see if the couch fits or if the sofa color matches your wallpaper. 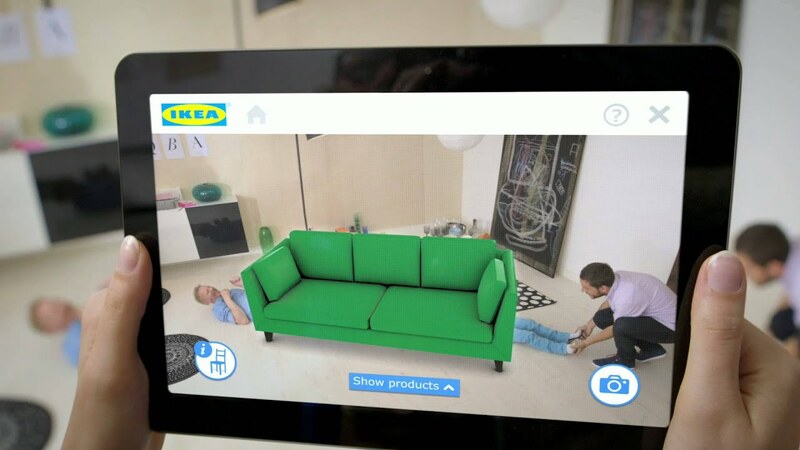 IKEA’s 2014 catalog allowed users to place furniture from the catalog to their living room using an AR app for android and iOS. This allowed them to experience the look and feel of the product inside their home and even position the furniture in different ways without even going to an IKEA store. AR has become more relevant in catalogs and newspapers, bringing products to life and bridging the gap between traditional media and online realm. Magazines like Dazed and Confused, InStyle and GQ have AR codes in their print issues, if scanned by smartphones, these codes make the page alive on the screen like a fashion clip playing on the top of the magazine. 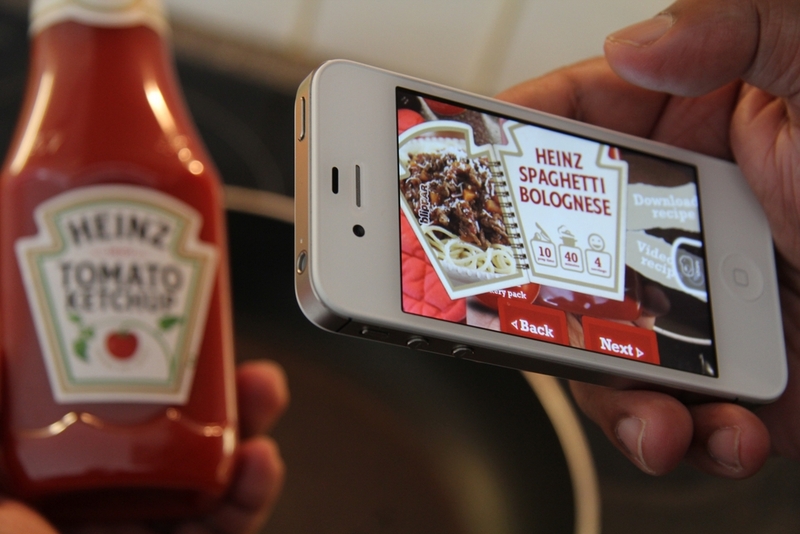 Blippar and Layar are good examples of product marketing with AR. When you point the camera at the object, it becomes alive on the screen. Advertisements play in the background, news stories flashing about it, along with the pricing details on various eCommerce websites. This has the capability of changing the way purchase decisions are made. Boucheron requests shoppers to download a coded image of a wristband from its website. Users can print that image, crop it, held to the webcam and try out different bracelets on the website. Exact bracelet appears on user’s wrist on the screen. NG Connect has also unveiled a virtual personal stylist. It has a scanning booth to create an avatar whose proportions match that of the user. MyBestfit is another size matching kiosk that scans shoppers’ body details across 200,000 points with low power radio waves to achieve the perfect fit. This space is going to be really aggressive. There are rumors that Amazon will enter into AR space with a technology that works without headgear. TechCrunch’s Todd Chusid has predicted that all major brands will introduce AR apps in the next 3 to 5 years. The consumers are equally excited for AR. 63% of Americans believe that AR and VR will change the customer experience. Additionally, 35% would shop online more if they could virtually try on items before they could buy them. AR technology will add a new feel to customer experiences, turn boring browsing to an engaging immersive experience. The future of AR is limitless. Users will soon try on items through camera scanning their bodies and see how a top fits them. This will also give rise to a true omnichannel shopping. Apps will convince customers that they are in an actual retail outlet. Soon, there will be complete virtual experiences. Shoppers will visit exclusive shopping outlets based in different locations or fully immersive theme based environments using headgears. For example, shopping for beach wear on the next-gen AR eCommerce app will involve a walk on a Florida beach. The possibility for promotion is endless when you mix reality with fantasy in the shopping experiences. Shopping will not be limited to looking at images or videos of models walking the ramp. But actual you bringing a product to life in a 3D immersive environment. The race is on and brands that figure this out early will have a competitor advantage. Talk to our experts to understand more on how you can take the next step into AR for your eCommerce.